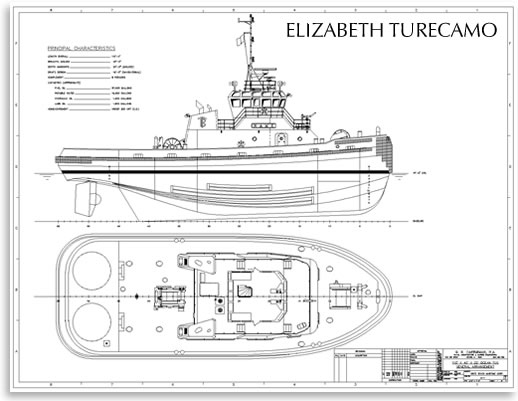 With her 6,100 horsepower delivered effectively and efficiently through Z-Drives to the water, the ELIZABETH TURECAMO helps 1,000-foot container ships navigate the twists and turns leading upstream from Charleston to the container terminals. Prior to Moran having ELIZABETH TURECAMO on hand, these huge ships needed to wait out the tide, with it’s 3 knot currents making the tight turns impassable. 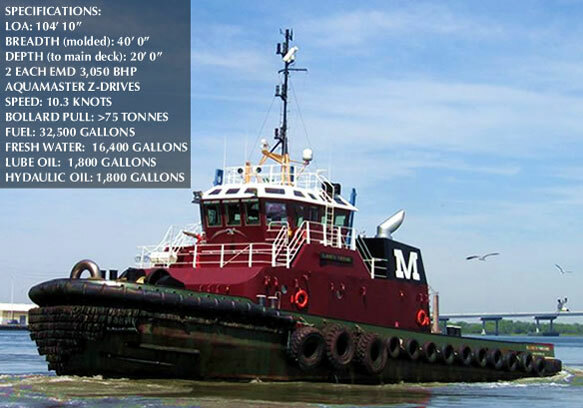 These new Z-Drive tractor tugs employ an “indirect mode” with the tug tethered to the center bit on the stern of a ship, pulling the stern in the opposite direction, helping the pilot to safely pass through the fast-moving river currents. For more on this towing technique, CLICK HERE to read more in Moran Towing Corporation’s “Towline” magazine.